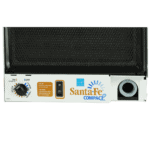 The Santa Fe Compact 2 a very powerful dehumidifier. It provides 70 pints per day of moisture removal at standard grade conditions (80°F and 60% RH). Santa Fe will cover up to 2200 square feet large areas. This dehumidifier is unique because there is no other such a powerful dehumidifier available in such a small size. In its small size hides also a lot of features but about read further in this review. 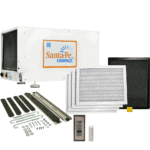 Santa Fe Compact 2 as you may understand from its name is a compact dehumidifier. It measures only 12 inches tall by 12 inches wide and 21 inches deep, designed for crawlspaces. Santa Fe has a horizontal arrangement and a flow-through design. Rotatable drain outlet provides for horizontal or vertical discharge. Santa Fe Compact 2 weight is 55 pounds (25kg) and if you want casters you will have to buy them separately. 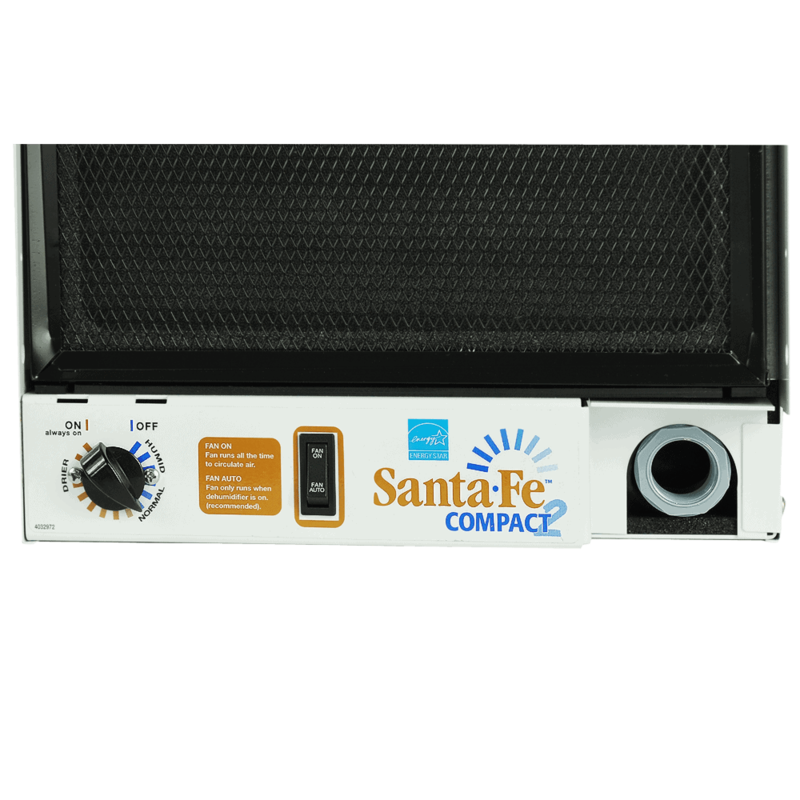 As many other dehumidifiers also Santa Fe Compact 2 has a lot of great features. Auto Restart feature allows dehumidifier to restart at the previous setting after a power interruption. Auto Defrost. 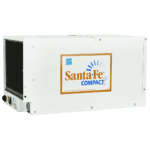 Santa Fe Compact 2 operates strongly in temperatures down to 49 degrees F. In moderate temperatures, an automatic defrost system shuts off running and immediately melts frost so the unit can continue normal operation. 2-Stage Air Filtration. The dehumidifier has a foam pre-filter and MERV-8 filter. Filters defend the dehumidifier’s internal parts and capture irritating allergens. 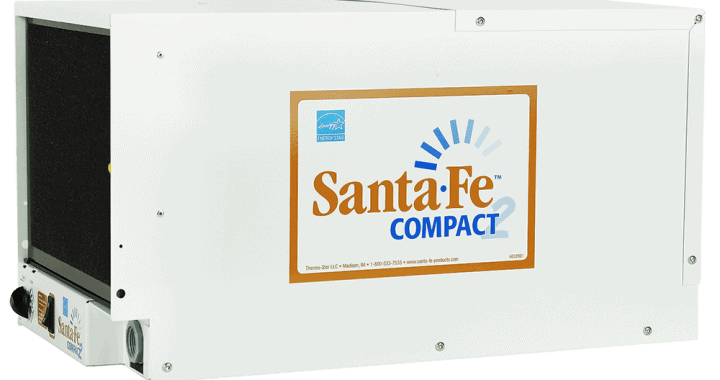 Santa Fe Compact 2 is continuous drain capable. The 8ft long drain hose is included. 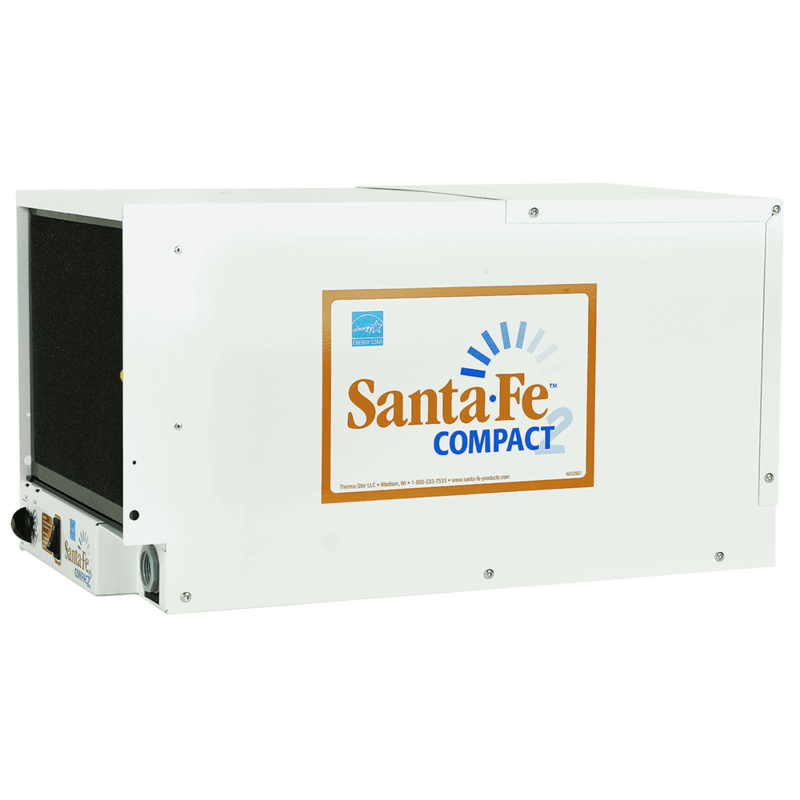 Santa Fe Compact 2 dehumidifier has only one fan speed and it makes 55.3 dB big noise from 6 feet away. That is not very quiet but also not too loud noise. Pre-Filter. One is included in the package. It is cleanable but not imperishable. So you will need one approximately a year after dehumidifier purchase. MERV 8 Filter. One is included in the package. Should be replaced every 6 months. Pump Kit. You can use it as an alternative drainage method. It is easy to set up and use. Pump Kit includes a 20-foot drain hose which allows you to use this kit to route water to spaces not easily obtainable from the unit. Includes 1-year manufacturer warranty. Hang Kit is pretty robust. It is used to suspending the dehumidifier from above in between floor joists. Acu-Rite Remote Thermometer / Hygrometer. Not included. It is excellent for controlling remote conditions either inside or outside your home. The remote sensor can be located in a weather protected area outside, or on any level of your home. Caster Kit. Includes 4 caster wheels that attach directly onto Santa Fe Compact 2. 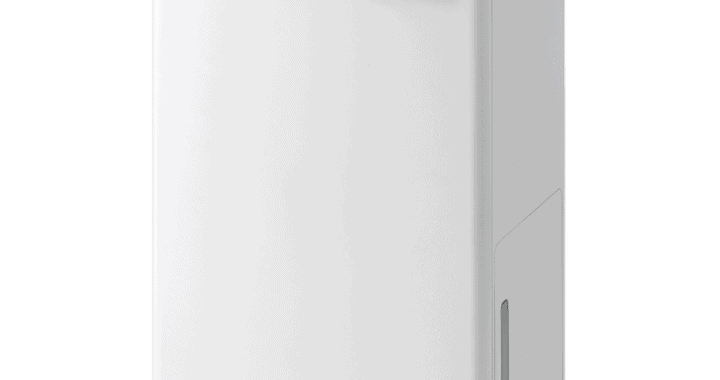 The Compact 2 dehumidifier is easy to set up. It has a great manual with detailed instructions. Energy Star-Qualified. The Compact 2 matches Energy Star guidelines for efficient and money-saving performance. 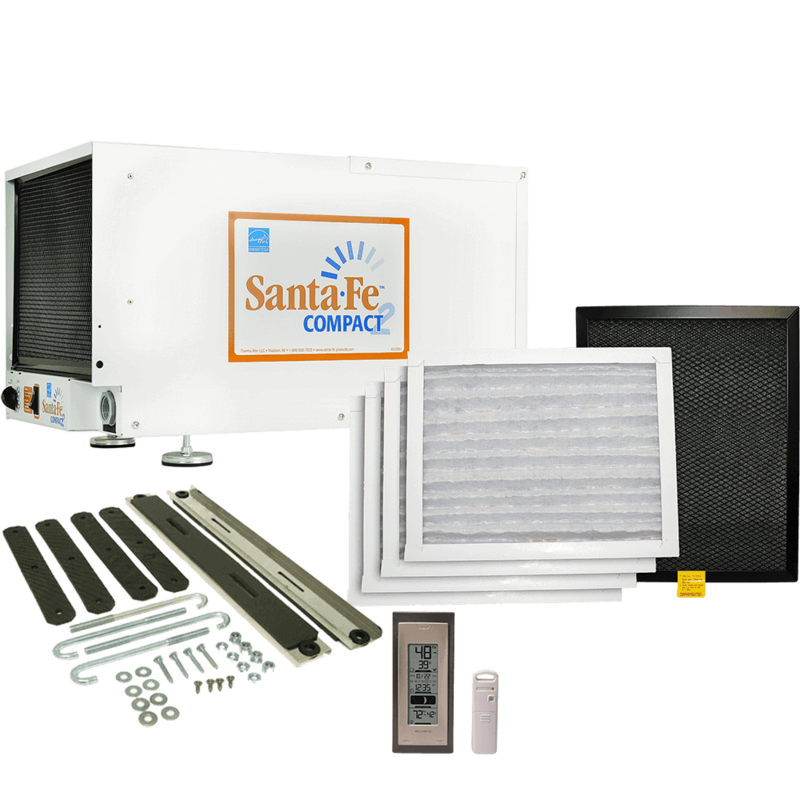 Maximum wattage is 580 W.
Santa Fe requires to clean pre-filter every 6 months, and replace the MERV-8 filter every 6 months. That’s it. No other extra maintenance needed. Overall, the Santa Fe Compact dehumidifier is an amazing machine, very quality made. Its dual filtering makes it an efficient air detergent. 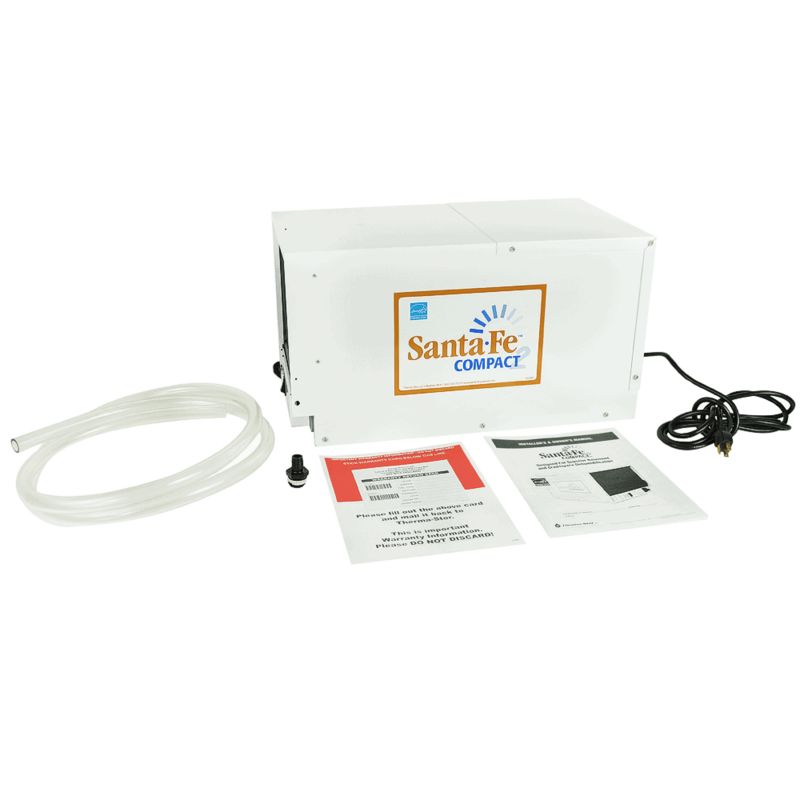 The unit is quite quiet and will hold the humidity level in the crawlspace right where you want it. Made in America. Read full dehumidifier buying guide here. 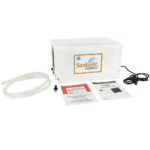 Posted in Dehumidifier Reviews, Reviews and tagged Dehumidifier, Dehumidifier Review, Santa Fe Compact 2.